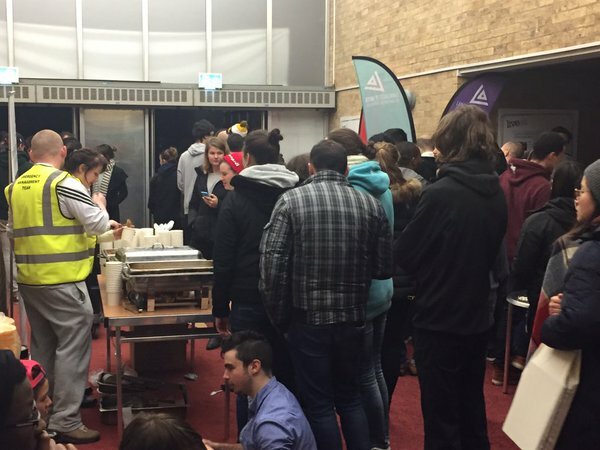 As the dust settles on Lancaster University’s great power outage of 2015, it seems only natural to reflect on the response from management, staff, and students. Response time was questionable but communication and execution was flawless; the industry can really learn a lot from this otherwise unique event. Power was lost just before 11pm on Saturday 5th December, and the whole of Lancaster was seemingly thrust into darkness. Within two hours, a blanket email from the Press Office was sent to all staff and students of the University – we were to follow @ElectricityNW to keep up-to-date with developments, and the University’s mammoth task of coordinating a huge evacuation operation had begun. Further communications from the University started the following morning. Electricity NW said that power was likely to be off until Tuesday but in reality, campus wasn’t back on the grid until Thursday. On Sunday afternoon, just a couple of hours before nightfall, the University made the bold decision to finish term a week early. That must have been a big decision. Imagine being the person who decided to do that. You know, I wasn’t 100% sure the University made the right call at first, but sitting by the fire with a glass of wine one week later, I’m pretty confident that it was the right decision by a long shot. With 12,000 students enrolled at the University, imagine if management had failed to make the decision when they did. 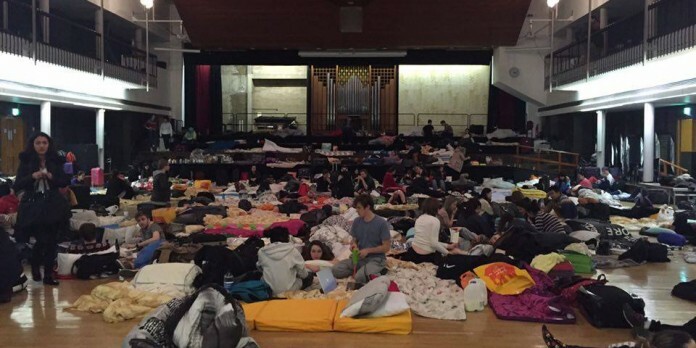 Imagine evacuating 6000 students, piling them into the Great Hall, and attempting to provide food for that many people. Encouraging people to go home was the only option, as the University needed to focus its efforts on providing for international students. Unfortunately, they are the group of students who didn’t have much choice in the matter. Here we have a bunch of students who came abroad to study, only to find themselves evacuated from their accommodation and thrown into the Great Hall with a blanket. The University’s hands were tied; these very same students not only faced a fire risk in their residences (due to inactive fire alarms), but hygiene problems with un-flushing toilets, and darkness in their corridors. I decided to have a wander around campus on the Sunday evening, just to see what was going on. On the whole, the response was excellent. Facilities were on top form for the whole duration, and estimates suggest that “tens of thousands, maybe 30,000 free meals” were provided. 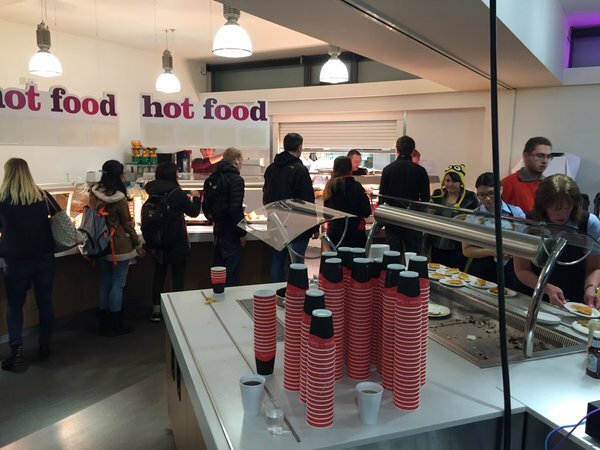 The University essentially gave away free food and drink to all staff and students for 3-4 days. And that’s commendable. I noticed the Security team distributing free bedding packs on a first-come first-served basis outside the Great Hall, and I’ve noticed that those packs have since been donated to charity after they were used by evacuated students. The Great Hall itself had an interesting atmosphere. Both academic and professional staff came in to volunteer their help, with some bringing board games for students to play. Films were being shown on the Tuesday night in George Fox too, which was a nice touch. People were reportedly singing and dancing in Alexandra Square, and an all-round jovial atmosphere seemed to spread across campus. The emergency team, departments, and colleges used posters to pass information onto their students, and even megaphones were used. But the ultimate go-to place for communications throughout the whole ordeal was the University’s Twitter feed. Whilst the power cut, lack of Wi-Fi, and lack of phone signal made communications challenging, questions were being answered within minutes through Twitter. It’s difficult to criticise the operation considering how unique and unexpected it was, but the University also has a member of staff responsible for emergency response, so as an institution, we weren’t exactly going into this blind. I’d say that response time could have been improved on the Saturday evening, as nightfall was approaching by the time students were asked to evacuate on Sunday. I’d also say that the actual members of staff on the ground could have been briefed with a little more information; I spoke to a number of people over the four days, and many of them told me that they didn’t really know what they were doing. One member of the response team came up to me as I was looking around the Great Hall: “Are you in charge?” he asked. I replied in the negative. “Do you want to be in charge?” came his reply. Many of them told me they lacked direction, which could potentially be improved for next time. LUSU were seemingly invisible until the Monday morning, and a more coordinated response with the University and Students’ Union working together would have been useful. I have heard that several members of LUSU staff went around accommodation on the Monday, which is excellent to see from a welfare perspective. I’d also recommend utilisation of college SCRs and the University’s paid Student Ambassadors. Full-time members of college staff were asked to report to work as usual, but other members of the SCRs could have been encouraged to help out too. Student Ambassadors would have been helpful when parents arrived on campus looking for their son or daughter; even if it’s just directing traffic, reassuring parents, or showing people where the closest bathroom is, I think having them on hand may have bene useful. Of course, all of this needs to be a coordinated effort with a full action plan for all parties involved, rather than just sending an email and expecting them to know how to behave. The higher education industry can really learn a lot from Lancaster University’s response to a power outage. Communication with staff, students, and parents is absolutely vital in a crisis like this, and the University seriously hit the nail on the head.